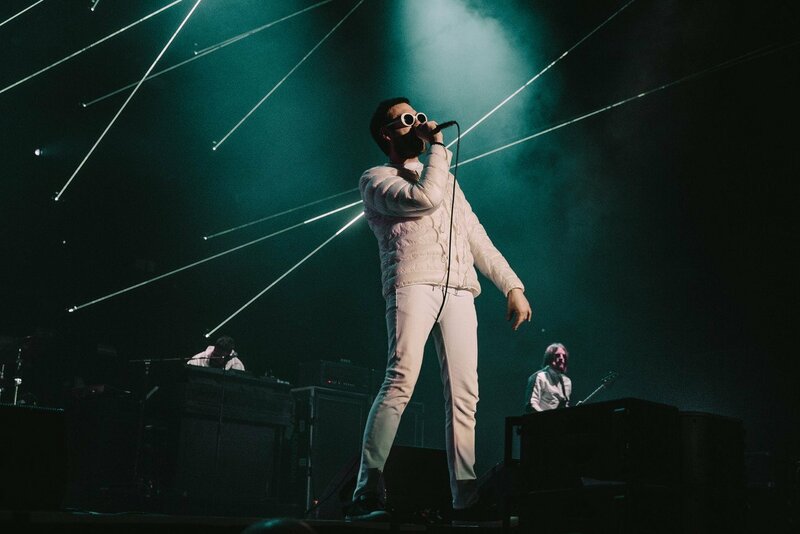 On the penultimate day of their UK tour, Kasabian headed to Birmingham for their first of two headline gigs in the city. As snow fell outside the arena, inside things were hotting up. 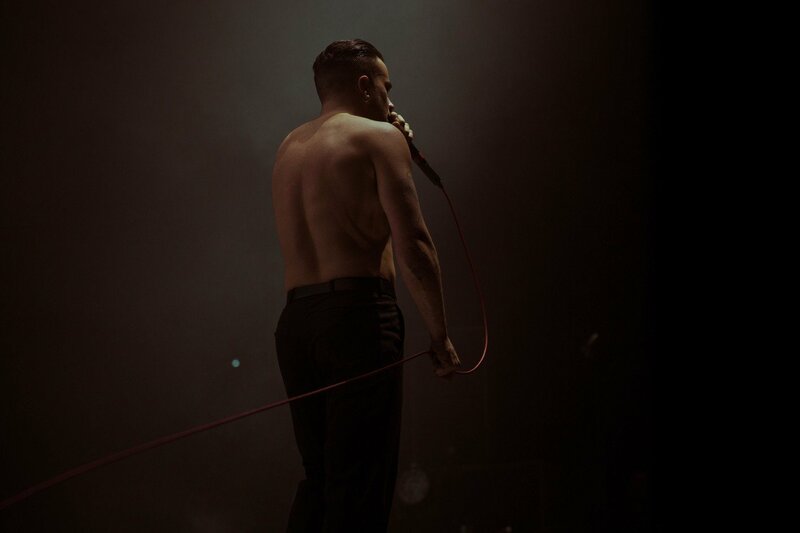 Support came from punk rock band, Slaves. 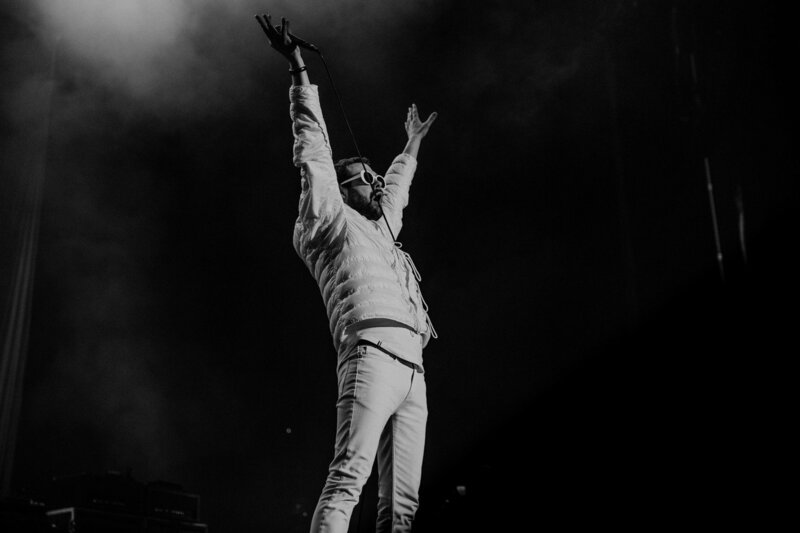 For a two piece, the band have a stage presence which could rival bands of a much larger size. Between songs drummer, Isaac, paces around the stage warming up the large crowd in the way any good support band should. Guitarist, Laurie, gestures to the standing group as mosh pits start to form. 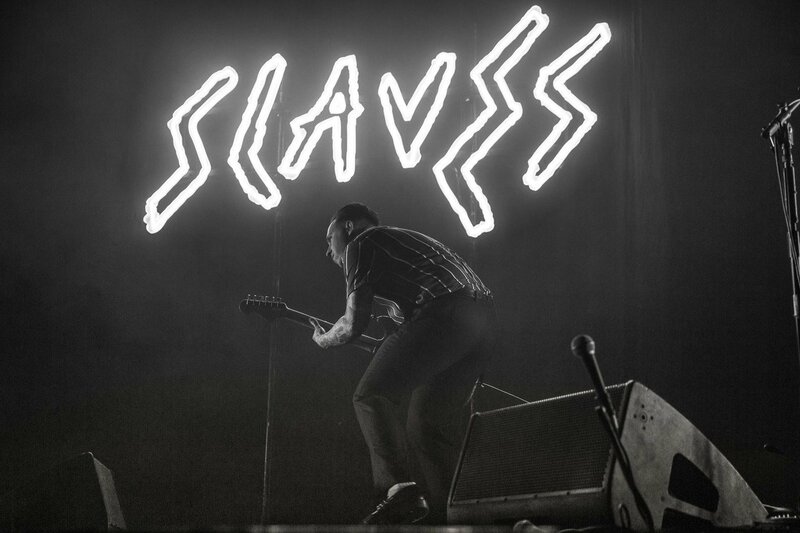 Rarely do support band encores not make me cringe, however Slaves managed to leave the stage with everyone justifiably wanting more. 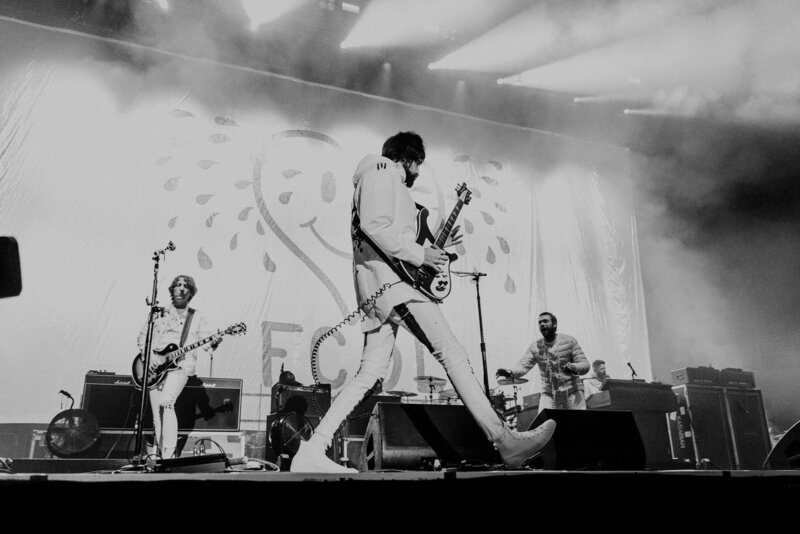 With everyone suitably sweaty, Kasabian hit the stage. A countdown clock on the big screen introduced the band as the countdown hit 00:00 and the party started. 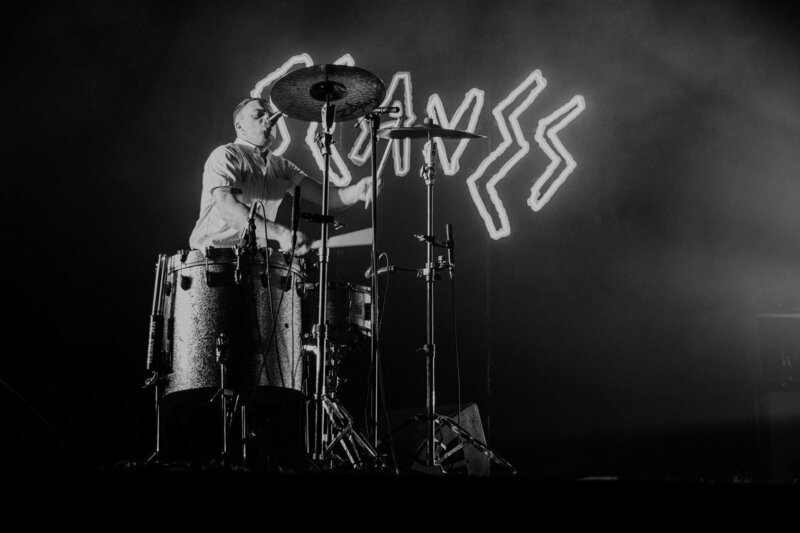 A mix of rock and electronica makes for lively tracks and catchy choruses. 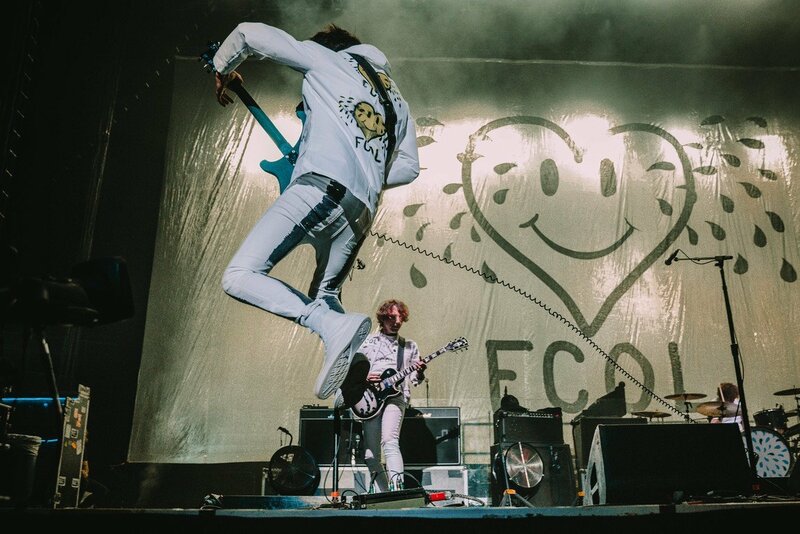 The tour follows the release of their sixth album, For Crying Out Loud, which was released earlier this year. 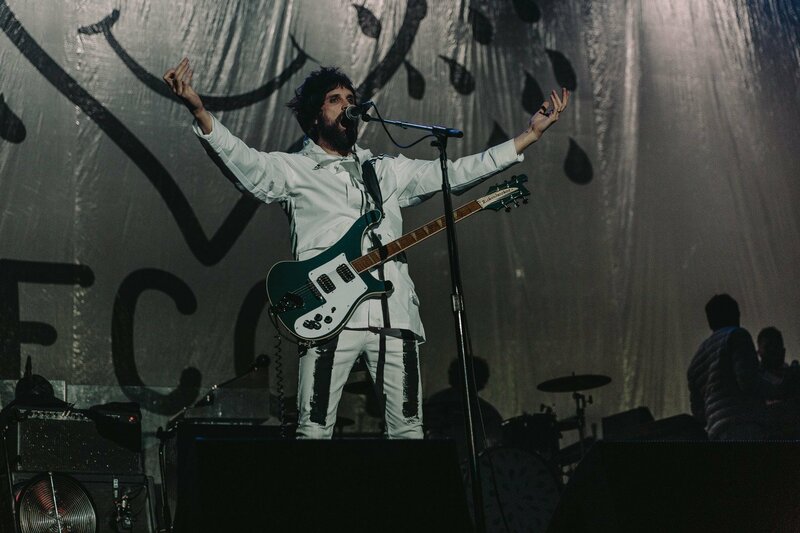 The band played several songs from the new album as well as the eagerly anticipated hits which brought about the band’s popularity. As the lasers shone down on the band, they raced through the set leaving little time for the moshing youth to appreciate the spectacle they were witnessing. Songs included ‘You’re In Love With a Psycho,’ ‘Shoot The Runner’ and recent single ‘Ill Ray (The King)’.